4591 Candlestick Ct E, Estero, FL.| MLS# 219014769 | Southwest Florida Residential Real Estate for Sale. 1991 1 Bedroom 1 Bath updated home with new plumbing, updated kitchen and bath, laminate & tile flooring, dishwasher, and hurricane shutters. Side patio ideal for morning coffee or afternoon entertaining. Home offers rental income or an ideal place for you to escape the cold winters. This resort style park has their own full time onsite property manager and full time activities director. Riverwoods Plantation is located close to shopping, restaurant, airport, and beaches. 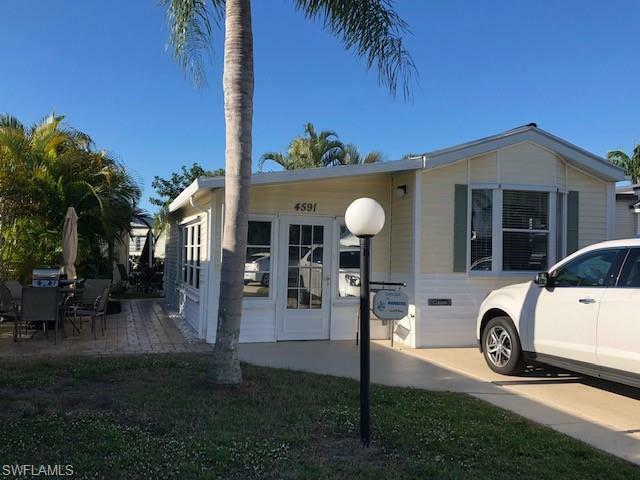 Riverwoods offers owners opportunity to own their own boat with boat storage and boat ramp on Estero River with access to Gulf.